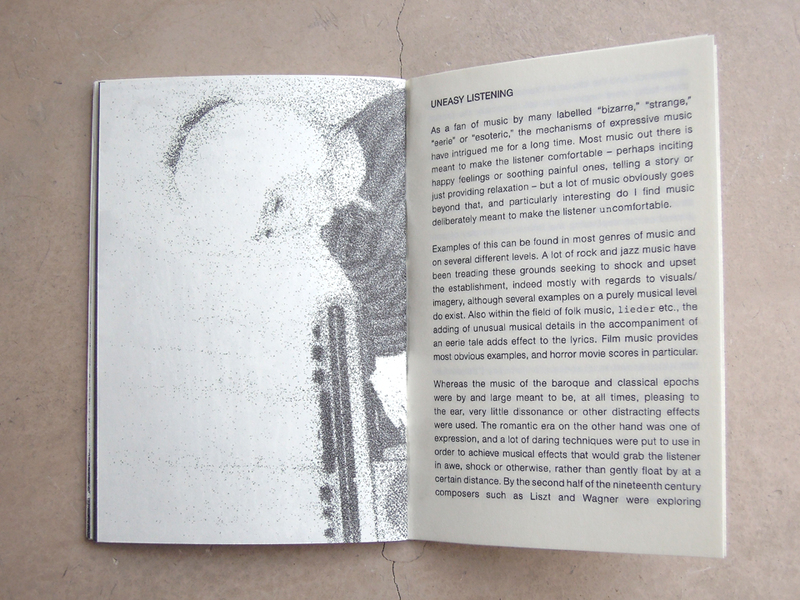 The Social Life of the Record: Metal Ideas gathers texts by Felicia von Zweigbergk, Pieter Kock aka DJ Peacock, Janine Armin, and Ärkan Nordin, dealing with the influence of listening experiences on moods and behaviors, the death of morality, atonality in horror movies, amongst other questions. Artist and musician Felicia von Zweigbergk, chairman of Lost Property art space and Butcher’s Tears microbrewery, both located in Amsterdam, investigates muzak as a concept of style; DJ Peacock, founder and searcher of the “O Tannenbaum” bar in Berlin, remembers the birth of acid music with concision; Amsterdam-based writer Janine Armin brings Rameau’s nephew on the table; and Swedish beer brewer and musicologist Ärkan Nordin discusses the merits of uncomfortable music. 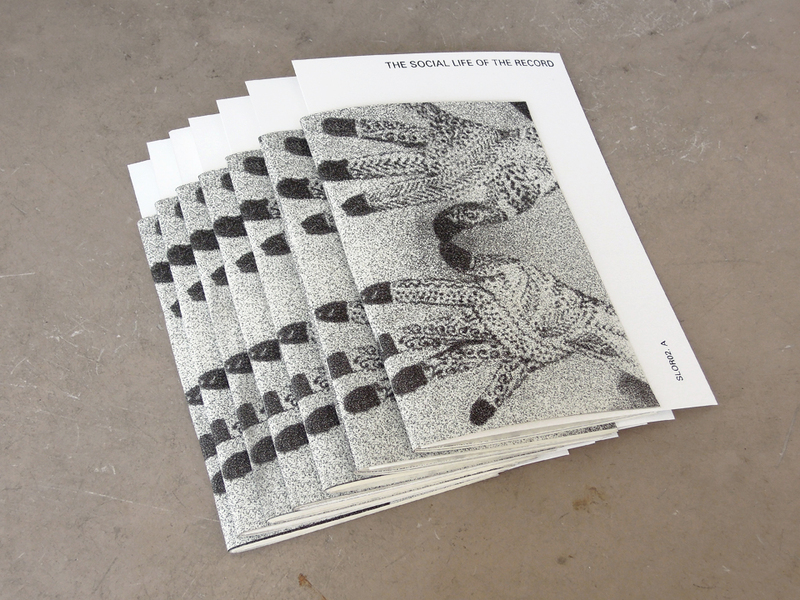 This issue of The Social Life of the Record series comes in a special edition with a cassette tape supplement by Felicia von Zweigbergk. 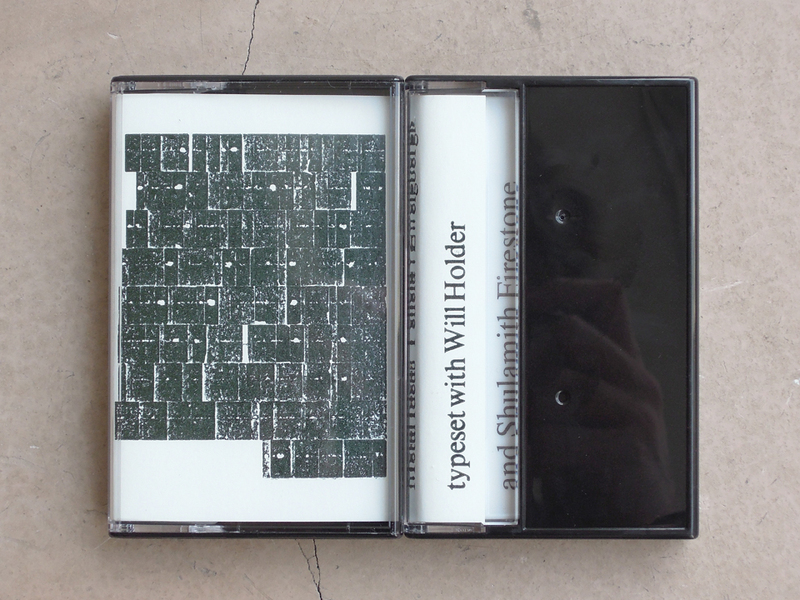 The tape sleeve is typeset with Will Holder; the sixteen tracks are for Dawn Crosby and Shulamith Firestone.